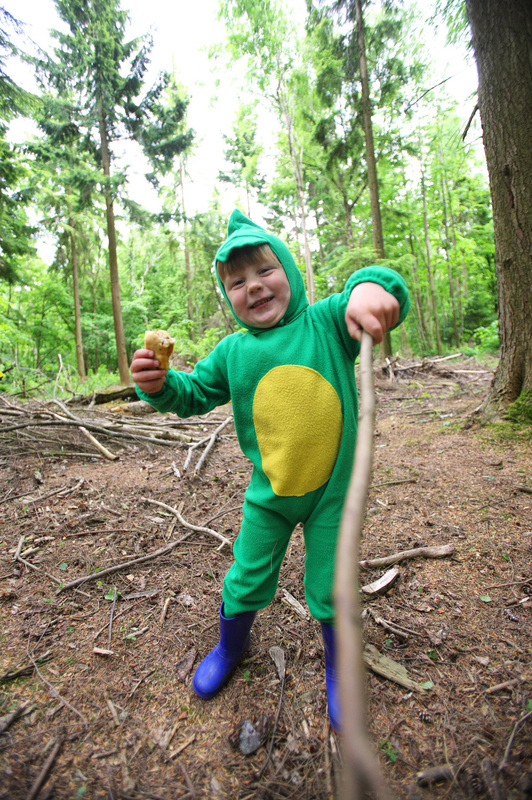 I was recently asked by the Forestry Commission England to take a series of PR images to promote their new ‘Forest Fairy Tales’ campaign which through a programme of events including fairy trails, picnics, craft workshops and walks, aims to get parents and their children into the Forest in 2013. The photography took place in Leigh Woods, Bristol. 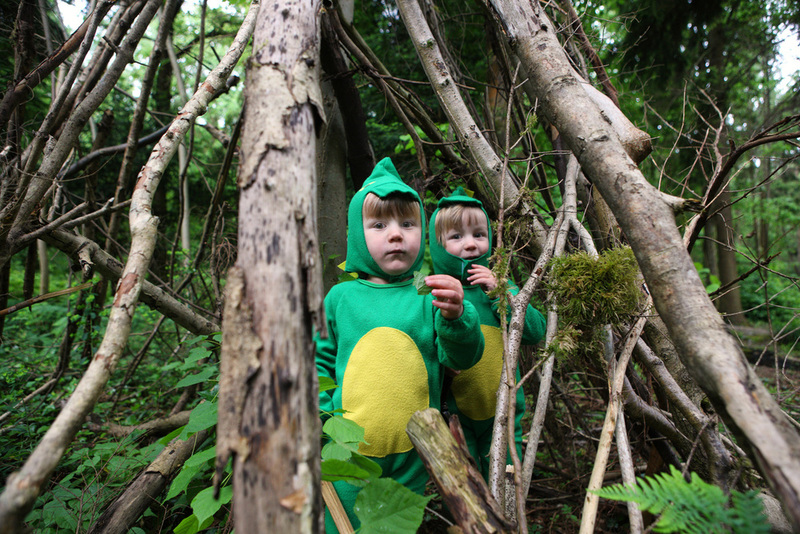 It really is a beautiful place and we didn’t have to go very far at all off the beaten track to find some already made shelters which were perfect places for stories and with the children all dressed-up and bribed with biscuits, the whole thing was a real pleasure to document. The campaign comes after the recent publication of a Forestry Commission England survey of two thousand parents of school-age children. 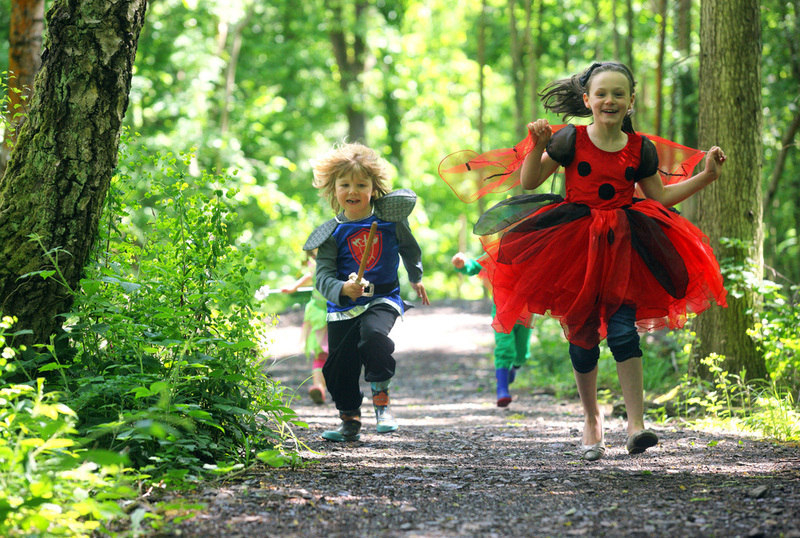 Three quarters of the participants believed that their children play less outdoors than they did as a child with half of them relating outdoor play to how much imagination their children have. 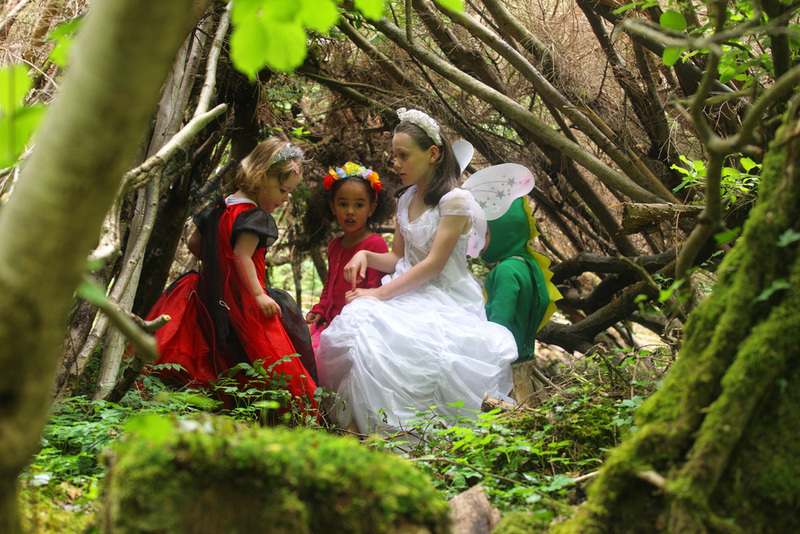 Fairy Tales and in general indulging a bit of make believe is thought to help children develop their independence and help with key social skills such as empathy. They can create a place where complicated feelings can be expressed and conflicts can be resolved but hopefully not by hitting each other with a big stick..... Ouch!